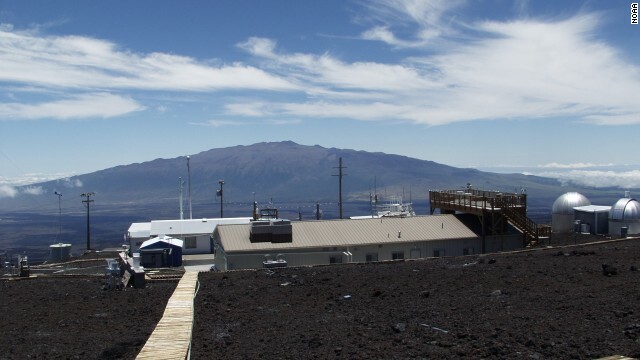 NOAA's Mauna Loa Observatory in Hawaii saw a new peak in carbon dioxide levels. In some ways, it's just a number, but it's a big number with enormous implications. For the first time, scientists measured an average concentration of atmospheric carbon dioxide of 400 parts per million in Mauna Loa, Hawaii, where the National Oceanic and Atmospheric Administration observatory is located, on Thursday. "Most experts that really study CO2 amounts estimate that we haven't seen that amount of CO2 in our atmosphere in about 3 million years," said J. Marshall Shepherd, climate change expert and professor at the University of Georgia. In other words, modern humans have never seen carbon dioxide in these proportions before. Leave it all behind and start anew on a planet no humans have occupied - how does that sound? More than 78,000 people applied to go on a one-way trip to Mars, through Mars One, an organization aiming to put four people on the Red Planet by 2023. Apparently, they are unfazed by the idea that they can never come back or that taking showers on the way there would not be an option. The applications came from more than 120 countries, although the United States led with 17,324 applications, the Dutch company said. The winter of 1609 to 1610 was treacherous for early American settlers. Some 240 of the 300 colonists at Jamestown, in Virginia, died during this period, called the "Starving Time," when they were under siege and had no way to get food. Desperate times led to desperate measures. New evidence suggests that includes eating the flesh of fellow colonists who had already died. Archaeologists revealed Wednesday their analysis of 17th century skeletal remains suggesting that settlers practiced cannibalism to survive. Scientists in Uruguay announced that they had genetically modified sheep such that the animals glow green in ultraviolet light. Click through the gallery above to learn more! Step right up and prove why you should get a one-way ticket to Mars! But wait - you might want to know a little more about this venture first. A Dutch company called Mars One is looking for volunteer astronauts to fly to Mars. The search began Monday. Departure for the Red Planet is scheduled for 2022, landing seven months later in 2023. The space travelers will return ... never. They will finish out their lives on Mars and die there, representatives from the nonprofit organization said. "It's likely that there will be a crematorium," said CEO Bas Lansdorp. "It's up to the people on Mars to decide what to do with their dead." In the midst of chaos here on Earth, scientists are finding hope for life on other planets. Scientists announced Thursday the discovery of three planets that are some of the best candidates so far for habitable worlds outside our own solar system - and they're very far away. NASA's Kepler satellite, which is keeping an eye on more than 150,000 stars in hopes of identifying Earth-like planets, found the trio. Two of the planets - Kepler-62e and Kepler-62f - are described in a study released Thursday in the journal, Science. They are part of a five-planet system in which the candidates for life are the farthest from the host star. If you could time travel to 2 million years ago in South Africa, you might see a creature with humanlike hands and an ape-sized brain, walking upright with feet twisted inward. Would you recognize this as your relative? Anthropologists are keen on exploring the mysteries of human evolution presented by the fossilized remains of a species called Australopithecus sediba, or A. sediba for short. The latest collection of studies, published Thursday in the journal Science, presents more detail than ever about what this creature was like. Whether it's a direct ancestor of humans is controversial, however. This is a map of the light of the universe when it was only 380,000 years old. How cute was our universe as a baby? We now know better than ever: The picture of our early universe just got sharper and tells scientists with greater precision many important facts about how the universe evolved. This new photogenic moment, released Thursday, comes courtesy of the European Space Agency's Planck space telescope, which detects cosmic microwave background radiation - the light left over from the Big Bang. Scientists used data from Planck to create an artificially colored map of temperature variations across the sky in the early universe, in more detail than ever before. "It's a big deal," said Charles Lawrence, Planck project scientist at NASA's Jet Propulsion Laboratory, in a news briefing. He added, "We can tie together a whole range of phenomena that couldn't be tied together so well before, and the sum total of that, the impact, is felt in many, many ways." Last week we learned that, yes, Mars could have hosted life, based on the analysis of powder procured by rover Curiosity drilling into the Red Planet. Now, data from other instruments on board Curiosity show more evidence of water in the area. The rover's Mast Camera (Mastcam) spotted evidence of water-bearing minerals in the "Yellowknife Bay" area where Curiosity drilled. Mastcam has infrared-imaging capability that allows scientists to detect certain minerals. Scientists released the news at a briefing at the Lunar and Planetary Science Conference in The Woodlands, Texas. "With Mastcam, we see elevated hydration signals in the narrow veins that cut many of the rocks in this area," Melissa Rice of the California Institute of Technology in Pasadena said in a statement. "These bright veins contain hydrated minerals that are different from the clay minerals in the surrounding rock matrix." Another instrument on board Curiosity adds to these findings. The Russian-made Dynamic Albedo of Neutrons tool detected hydrogen under the rover that appears to be part of water molecules that are bound into minerals. There is more of this evidence of water at Yellowknife Bay than at other sites Curiosity has visited so far, researchers said. The clay that Curiosity discovered during its drilling must have been created by wet environmental processes, NASA said. The overall mix of chemical elements didn't change much when the clays were produced, scientists said. Information from the Alpha Particle X-ray Spectrometer, a Canadian-made technology, delivered this insight. The rock outcrop into which Curiosity drilled appears to have an elemental composition that matches basalt, the most commonly seen rock on Mars. Curiosity landed on Mars on August 6. The rover weighs 2 tons and is about the size of a small SUV. The mission costs $2.5 billion. 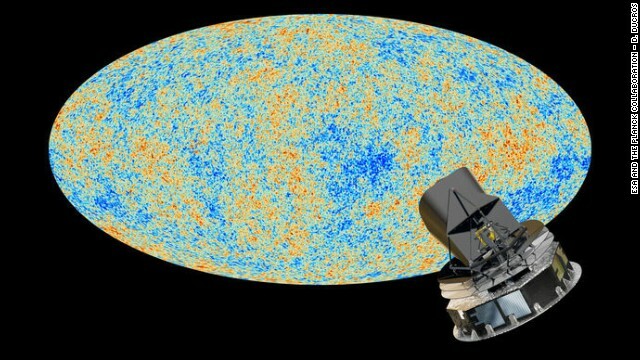 Just in time for Albert Einstein's birthday Thursday, scientists delivered exciting news about how the universe works. Last summer, physicists announced that they had identified a particle with characteristics of the elusive Higgs boson, the so-called "God particle." But, as often the case in science, they needed to do more research to be more certain. 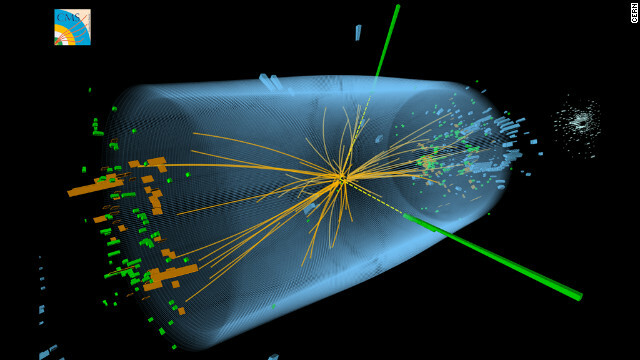 On Thursday, scientists announced that the particle, detected at the Large Hadron Collider, the world's most powerful particle-smasher, looks even more like the Higgs boson. The news came at the Moriond Conference in La Thuile, Italy, from scientists at the Large Hadron Collider's ATLAS and Compact Muon Solenoid experiments. These two detectors are looking for unusual particles that slip into existence when subatomic particles crash into one another at high energies.